Many families avoid air travel with their children until they are old enough to behave. However, some families do not want to postpone their get away until their kids are in their teens. For those of us who want to get back into traveling, it is essential to find ways to reduce the hassles that come up when we travel with our children. This can be especially hard when we have toddler. Here are some tips for taking toddlers on long flights. If the flight is especially long, choose a flight with a layover. Your child will appreciate getting out and exploring a new airport, getting a snack, and just stretching their legs. Pack more entertainment options than you think you will need. A travel DVD player or iPad can be a great way to pass the time. Books are also wonderful, and something you and your child can enjoy together. Pack plenty of snacks. Food options on flights are very limited. You shouldn’t count on the flight offering something your child will like. Make sure your child’s favorite comfort item is with you. A blanket or beloved stuffed animal will help your child to feel more comfortable during the flight. Hope for the best, but prepare for the worst. Consider what problems could come up and what you need to bring. A bag in case of airsickness, Tylenol, ear ache medicine, a spare set of clothes, a jacket, pull-ups and teething gel are all items that might come in handy in case you run into problems. Take advantage of the fact that most airlines design their seats to work with a standard car seat. Your child will be more comfortable in a well fitting car seat, and the familiarity can help ease tension too. 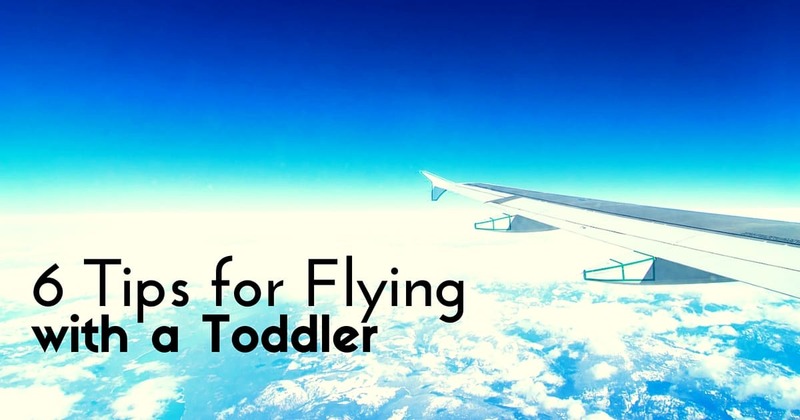 These tips can make flying with a toddler a much smoother process. Yes, problems will likely occur, but you have prepared for them and will face them the best you can. Finally, try not to worry what the other passengers are thinking if your child is acting up on the plane. If you are well prepared and calm, the other passengers will see this and most likely understand that you are doing the best you can to make the flight pleasant for everyone. The American Academy of Pediatrics (AAP) provides excellent tips for safe and stress-free family travel. Are We There Yet? : Games, Riddles and Tongue Twisters for Hours of Traveling Fun!